Thanks to the club coaches, we have a varied weekly training programme and we have amazing facilities right on our doorstep! Kidderminster is home to a brand new Leisure Centre with 25m swimming pool and Stourport has a one mile closed cycle circuit and athletics track, plus parks and canals for running. Nearby Wyre Forest is our weekly winter base for off road cycling & running and in the summer, only a few miles away are 2 lakes - Lakeside Campus (formerly Top Barn Activity Centre) and Upton Warren - where members take advantage of the shallow, warm waters for their open water swimming. Road cycling is also really well catered for with the Stourport Cycle Track which is perfect for beginners plus the beautiful Worcestershire countryside with some fantastic hills and quiet country lanes. All ability groups. Coaches - Mark Cresswell/Steve Hatch/Jacqui Phillips/Caroline Cresswell/Tony Muir. No cost. Wyre Forest Leisure Centre. Coaches Graham Thorley and Karen Riley. This is a very popular session and we are limited on numbers so please check with either Graham or Karen that there is space. Two lanes, mixed ability. £3.50 per session. Success Cycling road rides - meet at Stourport Sports Club at 7pm. 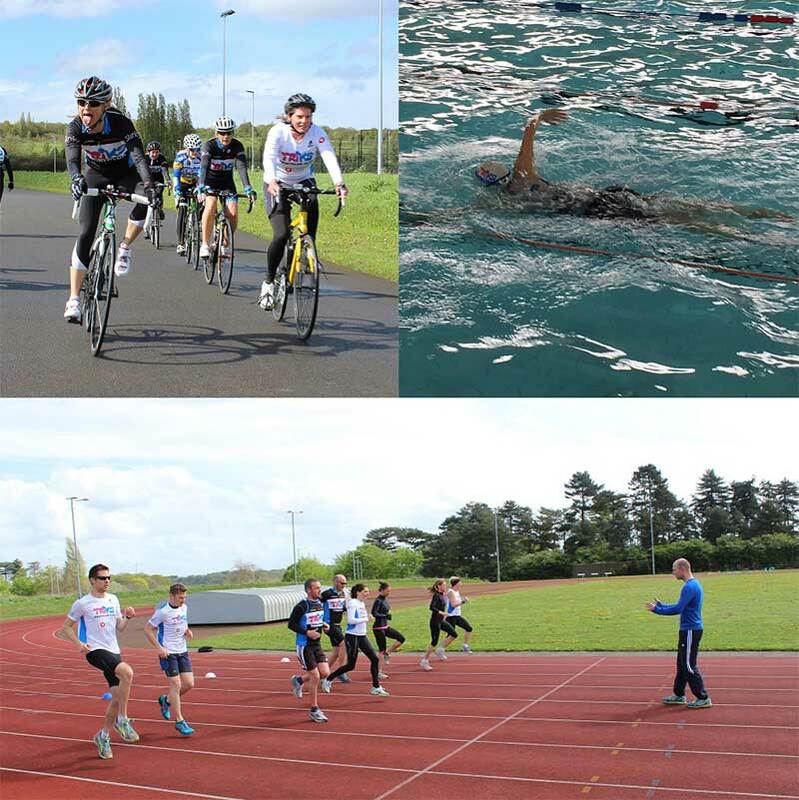 Saturdays: Junior and adult open water swimming and running - meet at Lakeside Campus (Top Barn) 9.00am. Wyre Forest Leisure Centre. All coaches get involved as we have the whole pool so this is a real whole-club event. All abilities. £3 for adults, £2 for juniors. Sundays: Road cycling – am. Most weeks throughout the Summer groups will form to go out on road bikes. Usually meeting at Stourport Sports Club at 9/9.30am, of various distances and abilities. Details will be shared on our Facebook group each week.